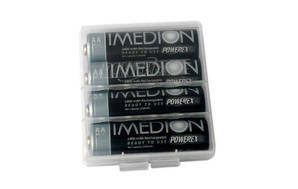 Bottom line: The Powerex Maha IMEDION 2400 MH4AAIBH has very good battery life per use and OK long-term endurance. But its construction is flimsy. Very good battery life per use.